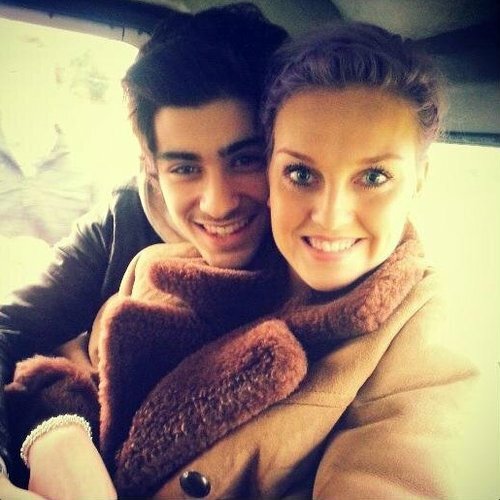 Zayn Malik And Perrie Edwards Planning To Marry Before Christmas? The One Direction man and his Little Mix fiancé reportedly want to wed "sooner rather than later". One Direction star Zayn Malik and Little Mix singer Perrie Edwards are apparently eyeing up a wedding date before Christmas. The couple were engaged last month and confirmed the news to Capital FM during an interview for the band's This Is Us film. Now sources have told The Sun that the group's upcoming tour dates are affecting their decision for the wedding date. "Ideally, they want to be married for Christmas," an insider told the publication. "They're dreading the long separation when the band go to Australia and New Zealand early next year. "Zayn flew back regularly when they were in the States but won't be able to do it as often from there. Perrie is planning to visit but they're going to be spending a long time apart, which they think will be eased if they tie the knot." The source added: "They'd originally decided they wanted to fit in a wedding between October and May, but they're so excited, they want to do it sooner rather than later." As far as a venue for the big day, it's claimed Zayn is eying up "somewhere exotic" with the view to have the ceremony on a beach. Meanwhile, One Direction announced details of their new album 'Midnight Memories' yesterday (6th September). Their movie This Is Us is also currently topping the box office in the UK and the US.